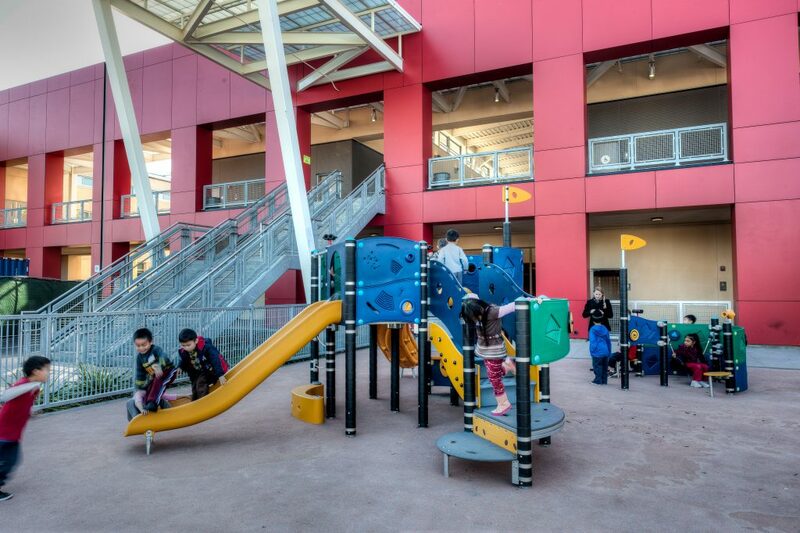 PGAdesign completed master planning and construction documents for this education complex that hosts the Met West High School, the La Escuelita Elementary School, and a child development center. 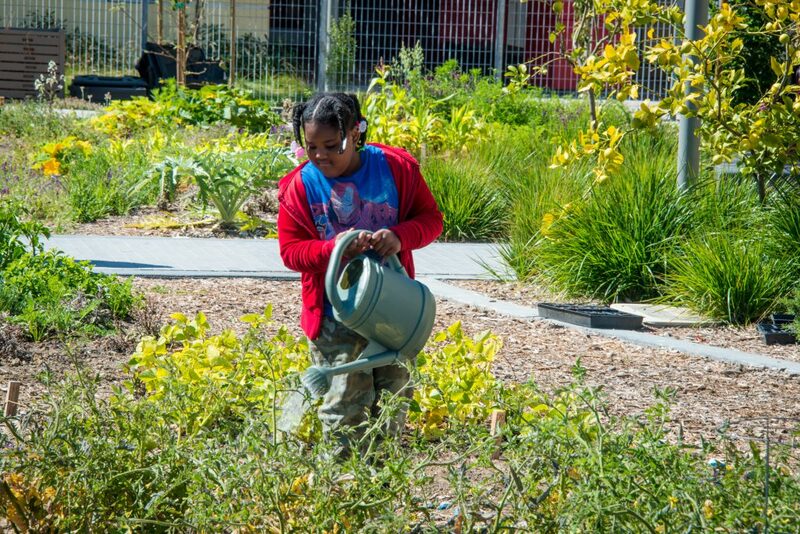 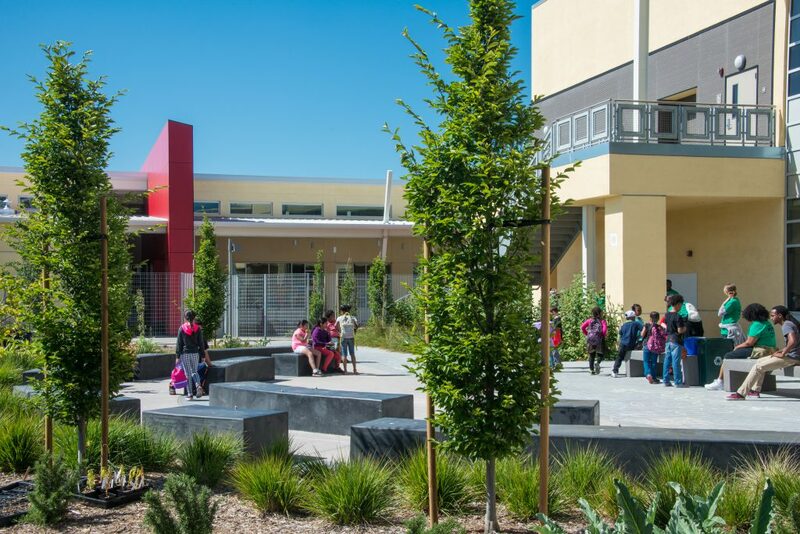 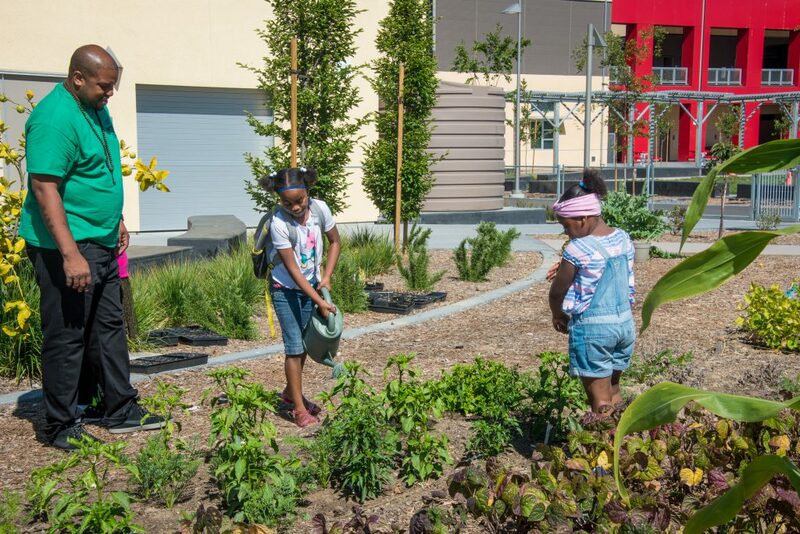 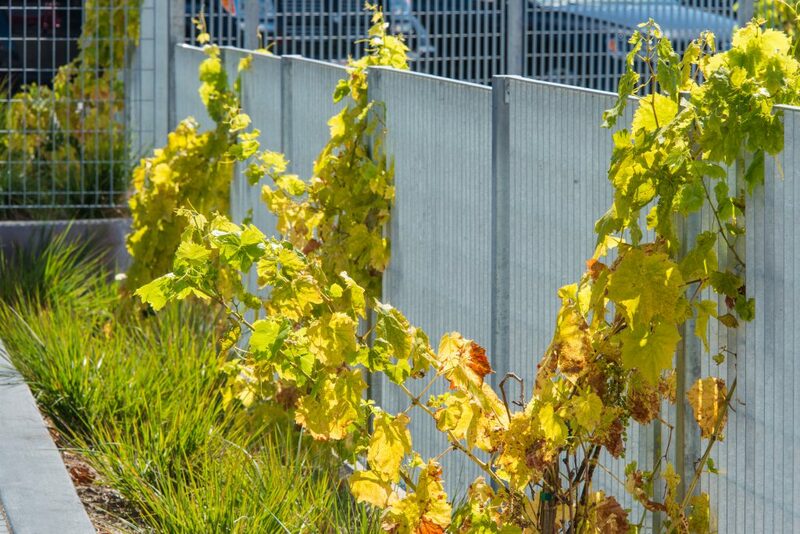 With buildings oriented to maximize solar gain, PGAdesign found an opportunity to create a dynamic, sustainable landscape design for the schoolyard, play areas, and other programming elements required by the diverse facilities on a single campus for the Oakland Unified School District. 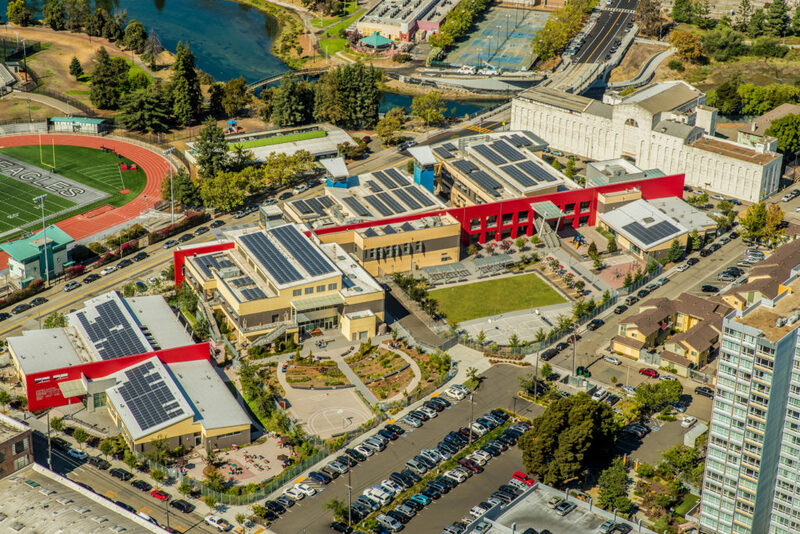 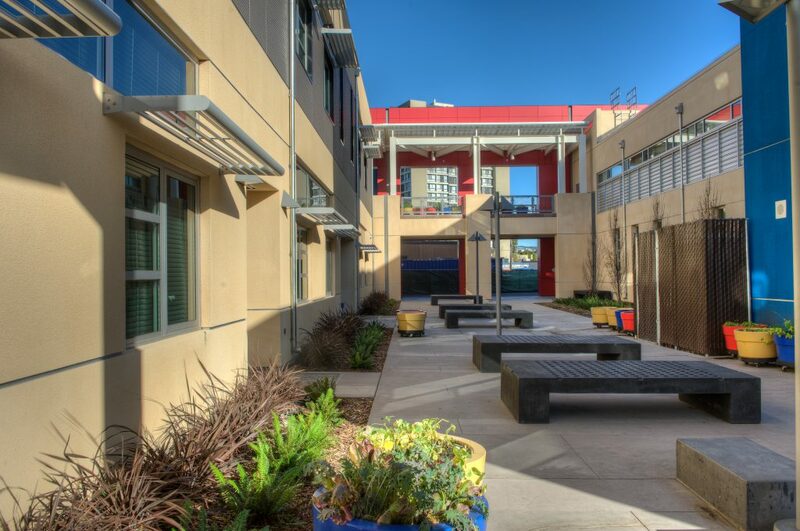 The Campus is OUSD’s first Net Zero Campus and owes this in partial to the layout of the campus. 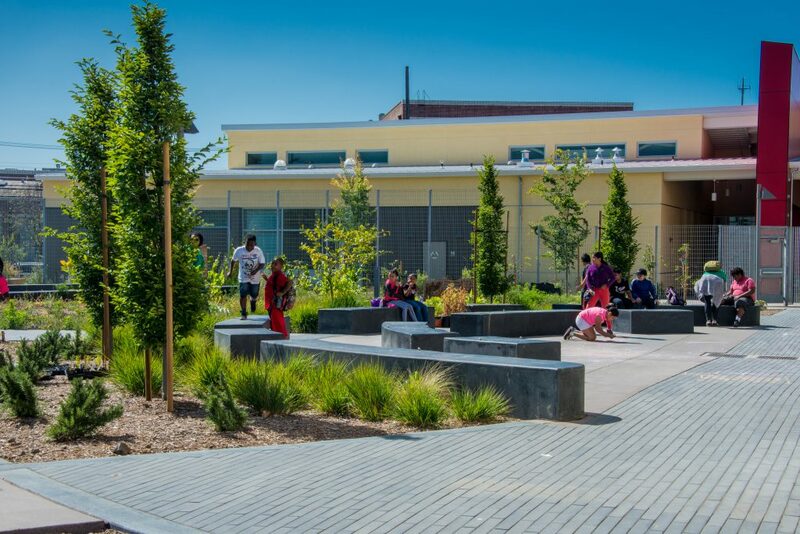 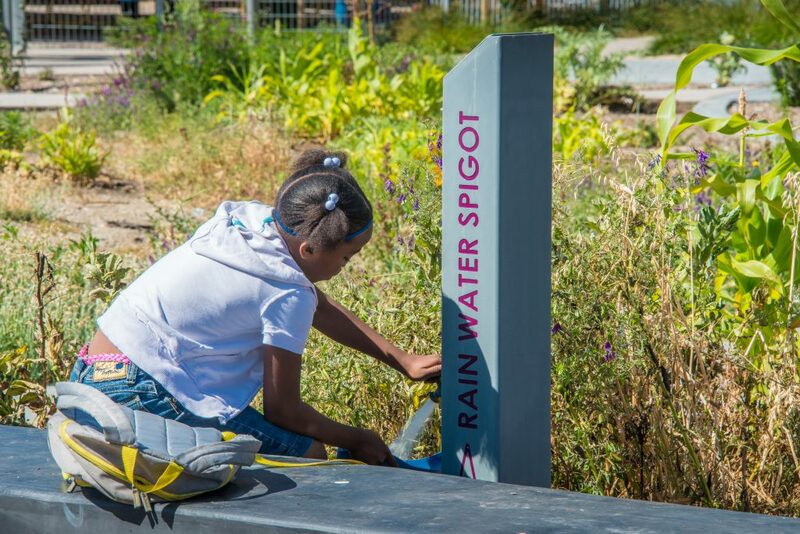 The design provides for a basketball court, a multi-purpose playing field, and an edible schoolyard integrated with water-efficient irrigation, climate-adapted plants and a cistern to store roof water for irrigation. 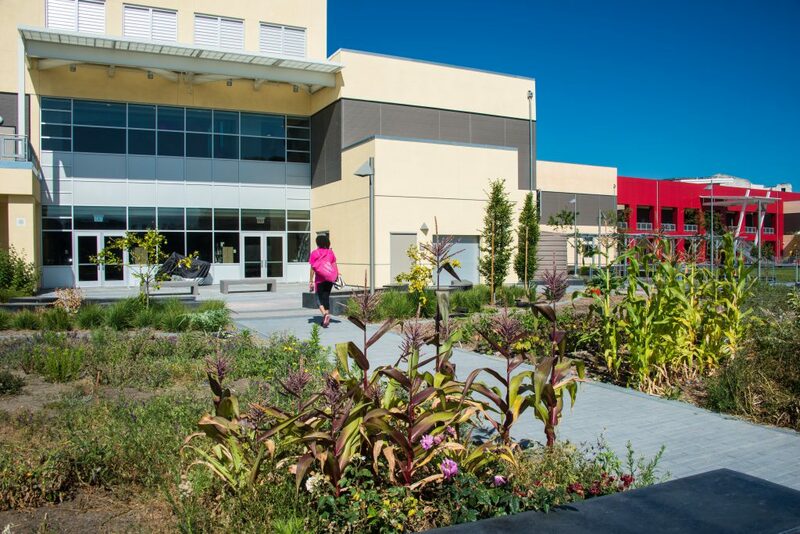 Permeable paving as well as on-site stormwater treatment reduce stormwater run-off. 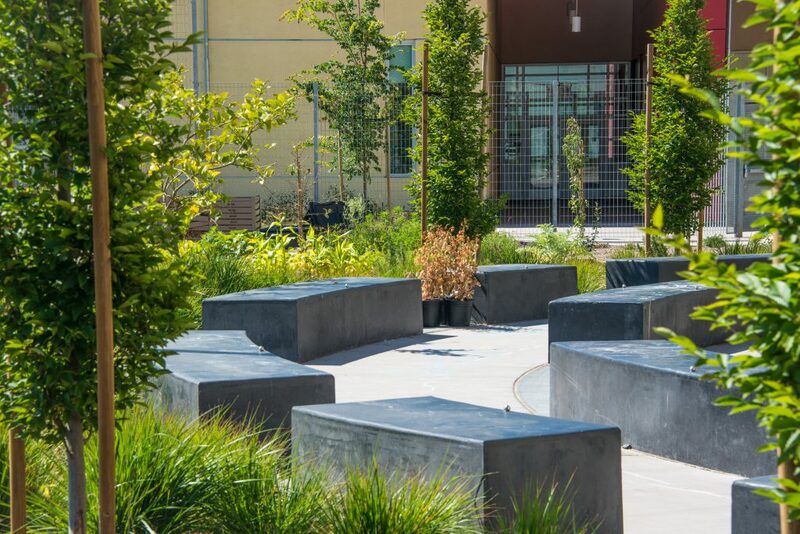 Highly reflective paving reduces the heat-island effect, making the landscape a sustainable learning environment.